Discussion in 'iPhone and iPad Games' started by touchy85, Jul 26, 2016. 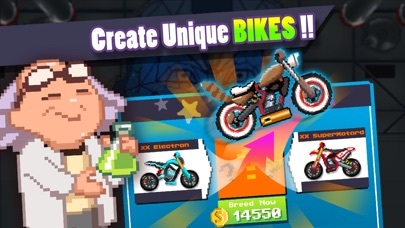  Unlock incredible bikes: from the Crappucino to the Green Torpedo! 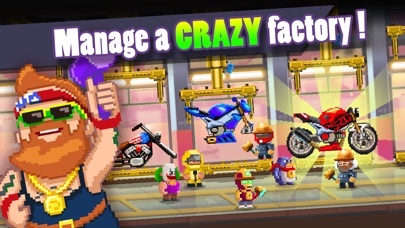  Improve your wacky workers! 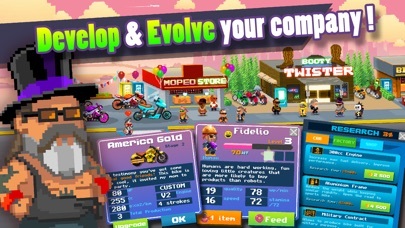  Upgrade your factory and shops to attract customers!  Be creative! Build bikes that reflect your personality!  Face unexpected challenges and make the right call!  Gain fans all over the world: your reputation depends on it! 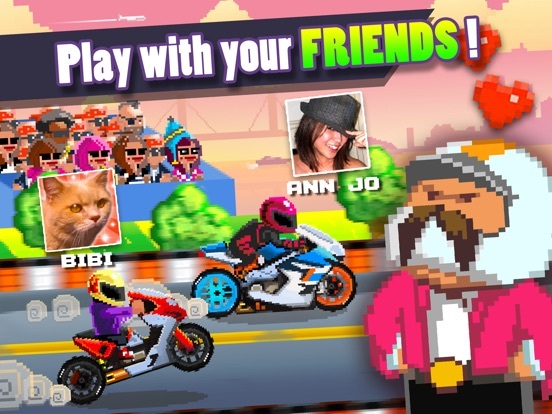  Challenge your Facebook friends in races: who will be the fastest? 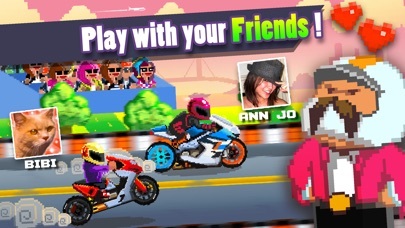  Make them work for you for free: bikers help each other!  Receive amazing gifts from them! 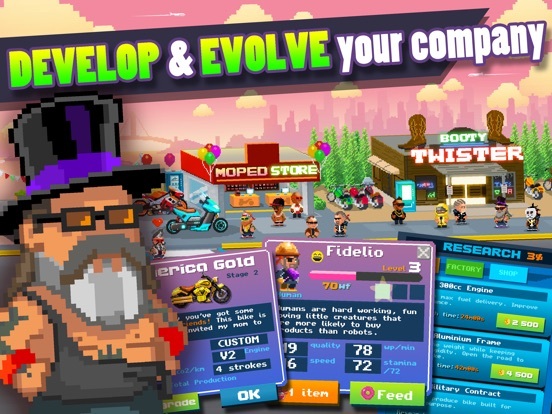  Complete wild quests to get a lot of Cash!  Meet wacky workers like Popy Wheeling, Big Bron, Uncle Tatoo and many others! 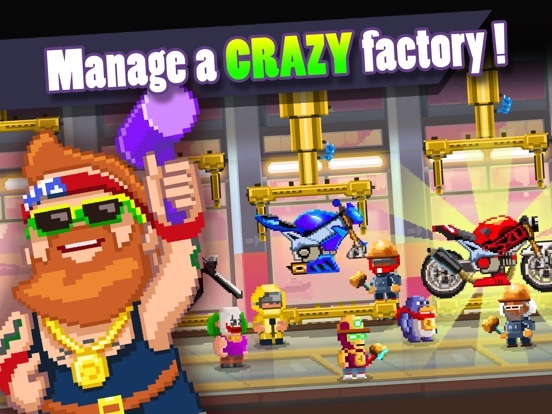 With its crazy situations, its lively characters and its totally out-of-place universe, Motor World : Bike Factory is going to drive you insane !! Get on your bike, the road is yours! it is car factory with a reskin some as you will notice some of the menus have "car" instead of bike. Yup. Also, my quests are not working properly and sometimes app crashed. Really .. Total lack of imagination .. Carbon copy of car version ..
Ok 8 people Have used my code but i have been giving NONTHING NO Cards NO money nonthing plus i"cant recruit FriendZ FOR an high worker!! 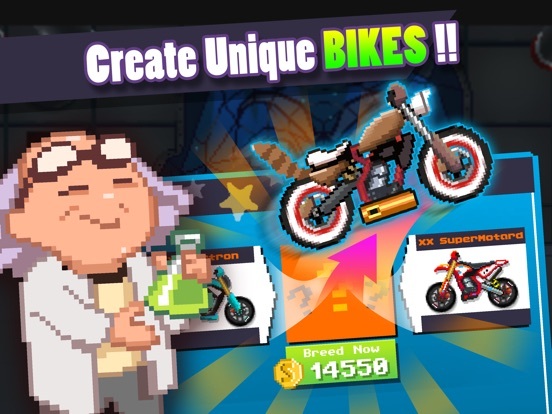 Anyone know what the best bikes are to make for profit that don't take very long to build?